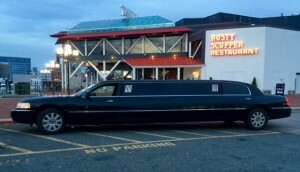 Our black stretch limo is less bling and more professional. Perfect for business outings when you and your group need to look serious. Our black stretch fits 8 passengers, has a sound system and has nice seats. This is also a popular limo during prom season. We also have a red carpet available upon request.